Jonas & The Massive Attraction have been invited to perform as an acoustic duo at the VIP Opening Reception at IFA, the world’s largest electronics trade fair, in Berlin, Germany on September 5, 2013 at Messe Berlin. The prestigious, by invitation only red carpet event will be attended by many dignitaries, including the mayor of Berlin Klaus Wowereit, the CEO’s of BOSCH, Samsung, Toshiba, Sennheiser, Telekom, Sony and the international media. The LIVE OUT LOUD TOUR in Germany will run from September 5 – 14, 2013. 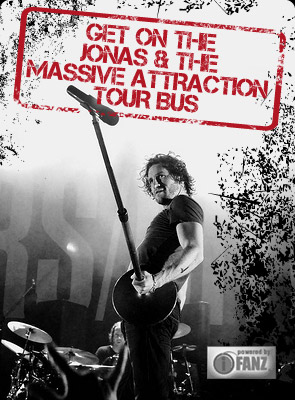 For all the latest touring info see https://jonasandthemassiveattraction.com.